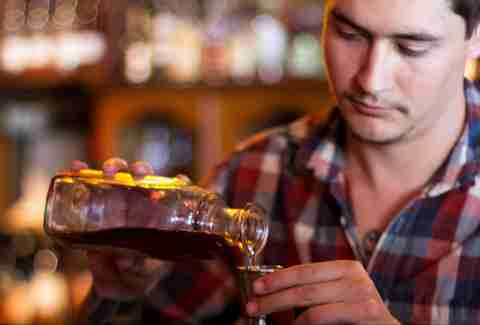 What makes a bartender great? Impressive cocktail-making abilities? An extraordinary patience when listening to your whiny breakup stories? Infinite knowledge of what makes good ice and the ability to tell you about it? 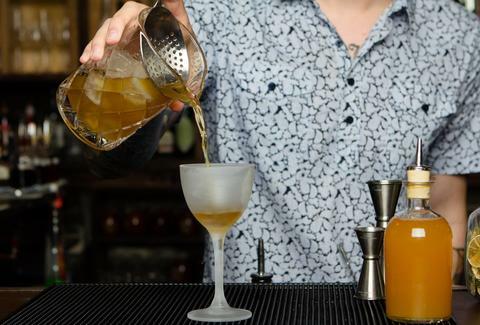 Phoenix mixologist Keifer Gilbert hits all these notes and more, making him a changemaker in Arizona’s cocktail culture. You’ve likely spotted Keifer behind the bar at some of your favorite Phoenix area hangouts -- Under Tow, Okra, Kaz Bar, and Scottsdale’s late-night drinkery, Counter Intuitive. This motorcycle junkie and lover of agave spirits is basically a rockstar in the Phoenix cocktailing world, even though he’s relatively new to the scene. Undoubtedly, he’s made a big impression throughout this year. But it hasn’t always been fancy ice and cocktail garnishes for this guy. Keifer got his start in the industry working the door at a college bar up in Flagstaff -- with a background in wrestling and jiu-jitsu we wouldn’t mess with him. Eventually he started barbacking (a pretty sweet gig for someone who’s only 19 years old) at that bar, then moved to Phoenix, and the rest is history. While the hours may be long (Keifer works four to five nights a week), the bartender praised the camaraderie within the Valley’s cocktail community. “We all have the same mission of making this city a great drinking city and the group definitely all comes out to support each other anytime that the opportunity comes up,” he said, even when they go head-to-head at events like Bar Brawl (which Keifer won). 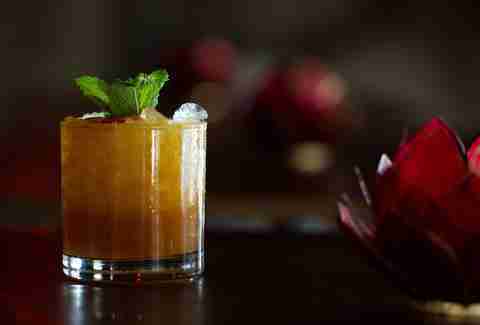 In addition to taking home a win at this year’s Bar Brawl at Sanctuary’s Jade Bar, he’s won the title of Best Bartender for the New Times’ yearly Best of Phoenix issue for his dedication to the hustle, and ability to spark the party behind the bar. As head bartender at Counter Intuitive, Keifer takes great pride in the fact that CI also took home the proverbial gold in the “Best New School Cocktails” in the same best-of issue. Counter Intuitive also received the Arizona Restaurant Association’s 2016 Foodist award for Premiere Cocktail Program, which gives credit to an outstanding restaurant, (or in this case cocktail bar) that demonstrates excellence and innovation. Keifer’s name, and the bars he’s worked at, have also made a handful of appearances in other local and national “best of” lists. We’ll likely see a lot more of these awards and mentions in the future. Keifer is set apart from your average bartender (or average person with talent) by his humbleness; his skill and ability haven't gone to go to his head. The Valley’s cocktail culture has come a long way, and Keifer expects that more cocktail-centric bars will open in Phoenix. “I feel like at the beginning of all of this all of the bars that were doing great cocktails were always attached to a restaurant,” he said, adding that a restaurant changes the drinking experience. More cocktail-centric bars in Phoenix? We sure hope so! 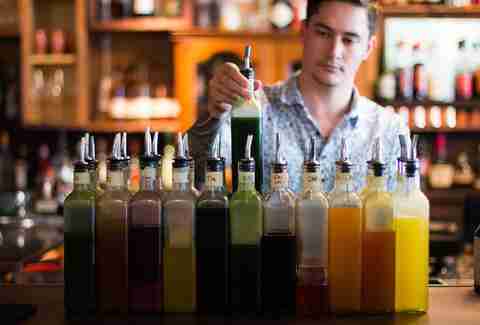 If we’re lucky, Phoenix might be graced with more top-talent who, like our Bartender of the Year, are stirring things up (or shaking things up?) in the mixology/bartending scene. Cross your fingers folks. Lauren Topor is a Thrillist writer who spends her weekends hanging out in cool Phoenix cocktail bars. Follow her drinking adventures on Twitter and Instagram.